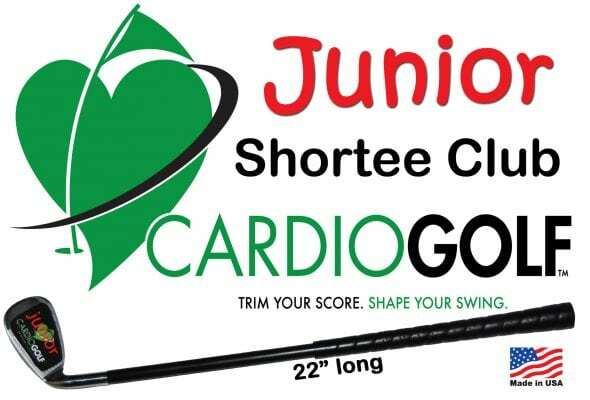 The New Junior Shortee Training Club is great for swing training indoors for off season conditioning. 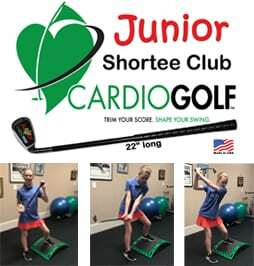 The Junior Shortee Club is inspired by Karen Palacios Jansen, creator of the Cardiogolf training program. The Cardiogolf program is designed to be used in your home during the off-season, to warm up or anytime during the season. 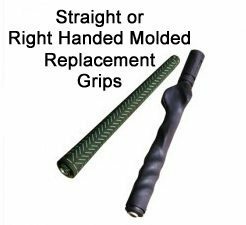 Shape for an upcoming season, upcoming tournament or upcoming game with your golfing friends. Introducing the New Junior Shortee Training Club. 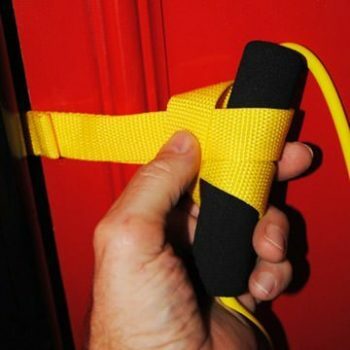 Great for indoor swing training and off-season conditioning. Professional golfers know the importance of athletic development for golf. As a recreational, you may not have the time to train like an elite athlete. But by simply adding a few swing drills into your daily routine, you can dramatically improve your game. 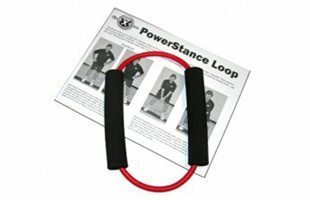 And you don’t have to go to the golf course or driving range, you can do these exercises at home. The Junior Shortee club is easy to swing indoors without hitting the walls or ceilings. Because the club head is closer to your hands it is easier to monitor the club face and learn how to square the face at impact. Since you are not hitting balls with the short club, there is no judgement of where the ball goes. 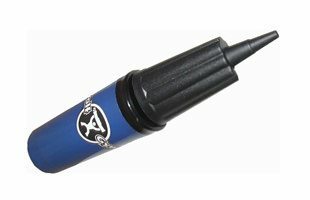 Therefore, you can work on your technique without getting frustrated. The club is lighter than a regular club, so you can learn to swing the club faster to develop club head speed. Making practice swings will not only tone your muscle and burn some calories, but the act of swinging over and over again can help you improve your swing technique and improve muscular endurance. Our practice swings are usually smoother, longer and more on-plane with better tempo than our real swings. As you make practice swings, you can focus on making certain motions to improve technique such as making a fuller shoulder turn, keeping your spine angle throughout the swing, and shifting your weight correctly. As you make practice swings, you can swing faster than you usually do to help you get used to swinging faster to improve club head speed. Therefore, you can work on certain moves in your swing without worrying where the ball is going. Look down at where a ball would be and try to simulate hitting a ball as much as possible. Work on your swing fundamentals. Monitor your posture, alignment, ball position and grip to make sure they are correct. Keep your head level throughout your swing. Complete each practice swing by holding your finish for a moment, as if you were watching your ball fly down the fairway. Imagine the perfect golf shot as you swing. Start each swing from the beginning; don’t swing back and forth continuously.